If you are familiar with the dashing dude above, then, yes, you guessed it, today’s challenge is all about Newton. No, not the fig kind. But first, yesterday’s winner. For her account of Dairy Queen disaster and being called “Butterscotch Girl” (see the comment section), Stephanie Rosch wins a signed copy of Dare Me. Send me your email, and thanks for the great story! And so, back to Challenge #3 and Newton. Surprise, surprise, Ben the kid who does crazy stunts, considers the implications of the physics to them as well as the Natural laws, as they defy them. Therefore, there are the excerpts below from Dare Me. You’ll need them to understand the challenge, as Ben does a good job of summarizing the three laws. The challenge: Which law most applies to life? Answer that with an example, and you’re entered to win. Do so here, on Facebook or on Twitter. 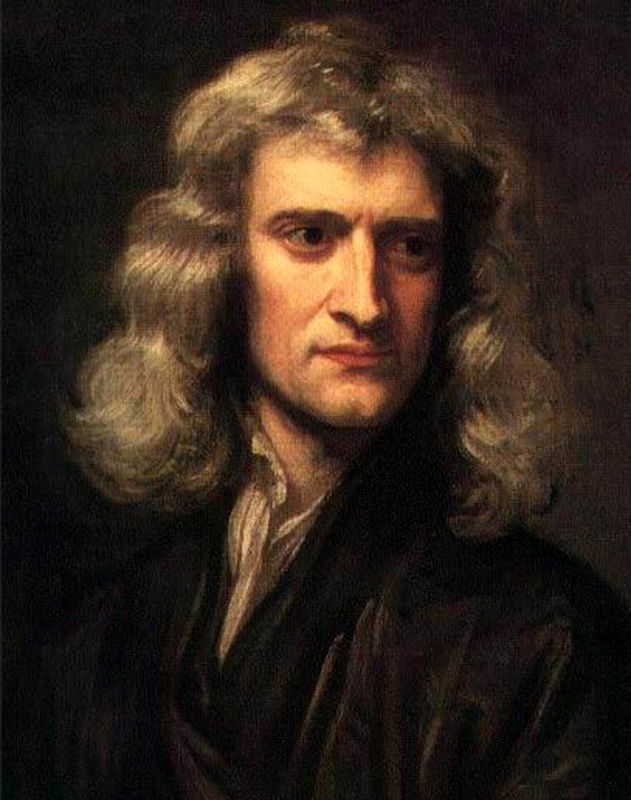 Enjoy Ben’s ruminations below, and remember, Newton’s watching you. I head to physics and learn about Newton’s First Law. Who knew that it took a genius to figure out that objects at rest or in motion stay that way unless acted upon? It seems rather simple: The beginning of something, or the lack of beginning, is up to the individual, unless someone else forces the issue. I read Newton’s Second Law: The acceleration of an object as produced by a net force is directly proportional to the magnitude of the net force, in the same direction as the net force, and inversely proportional to the mass of the object. Right. So, positive things continue in a positive direction, negative, well, negatively; the acceleration matches the force applied, and the larger the mass, the slower the acceleration. Hmm. Was Newton also psychic? I step into physics, and it seems as if we’re continuing a theme here. On the board is written: Newton’s Third Law: For every action there is an equal and opposite reaction. The words are more like something out of a fortune cookie than a scientific law. Still, maybe I should pay more attention.